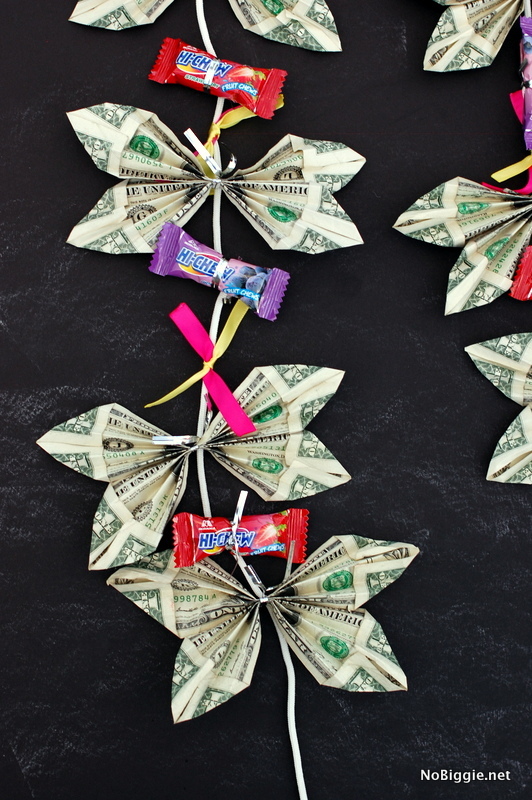 Because the grads love the money, I have one more graduation idea for you this week: How to make a butterfly money lei out of money. I would have loved to have worn something like this on my H.S. graduation day! 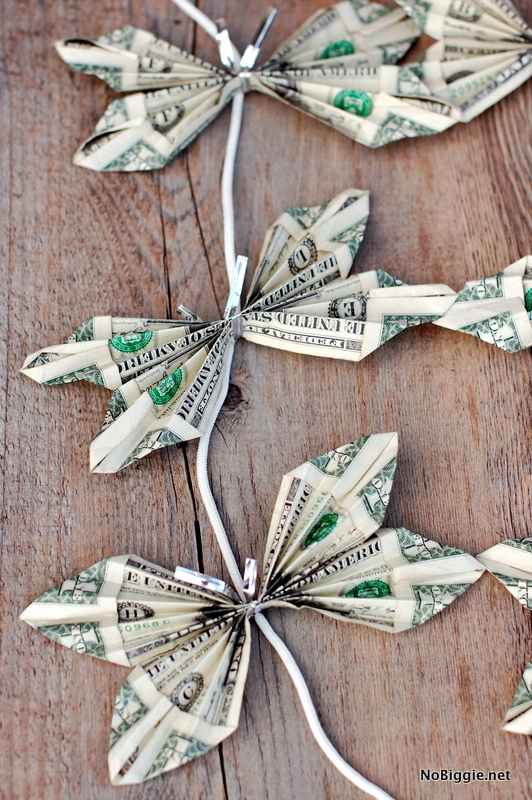 It’s festive and fun, and it’s money! What’s more to love? Sometimes I look long and hard at those origami animals and they just look so complicated, but not this one. 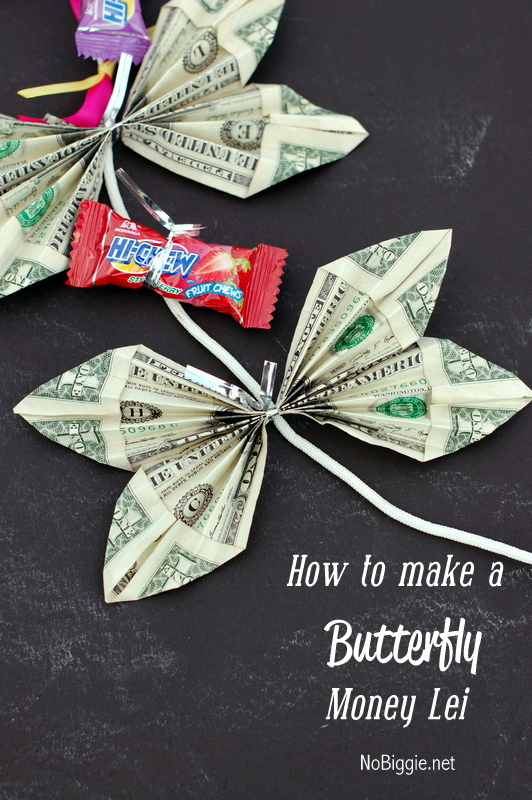 Once you see how simple they are to make, you’ll want to turn all the bills into butterflies. 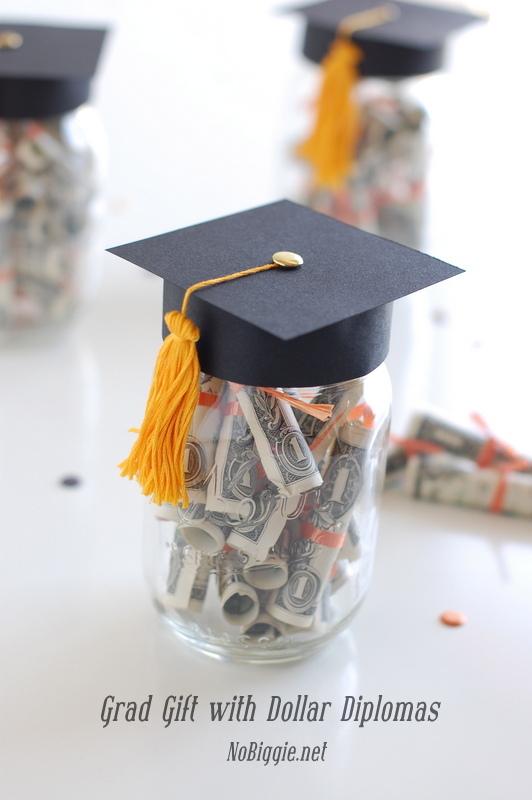 To start, you’ll need two bills (in the $$ amount of your choice). 1- Fold in all four corners of both bills. 2- Accordion fold both bills (back and forth folds). 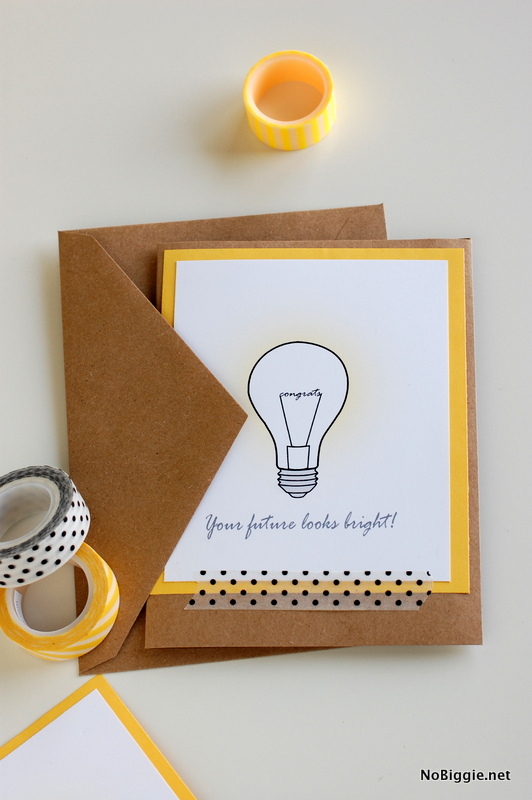 3- With the two bills synched together in the center, secure them together with a twist tie. 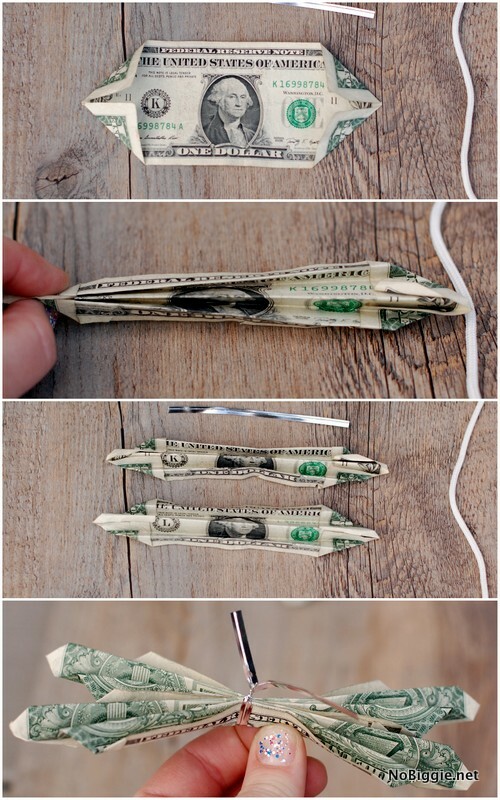 4- Fluff out the four ends of the bills to look like butterfly wings. That’s it! 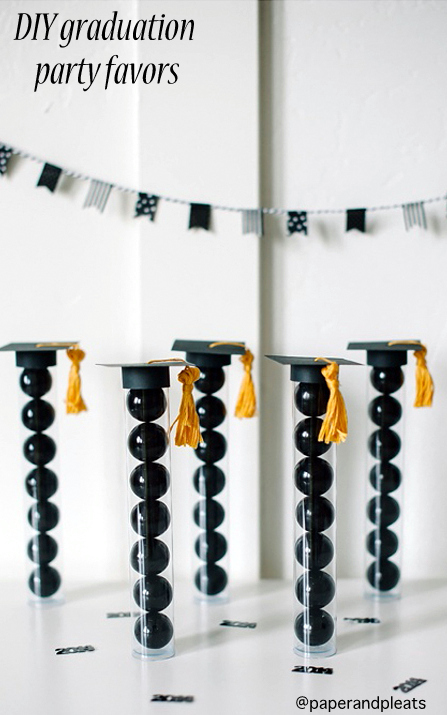 These are fun for a graduation lei, but they would also make cute cupcake toppers at a graduation party. 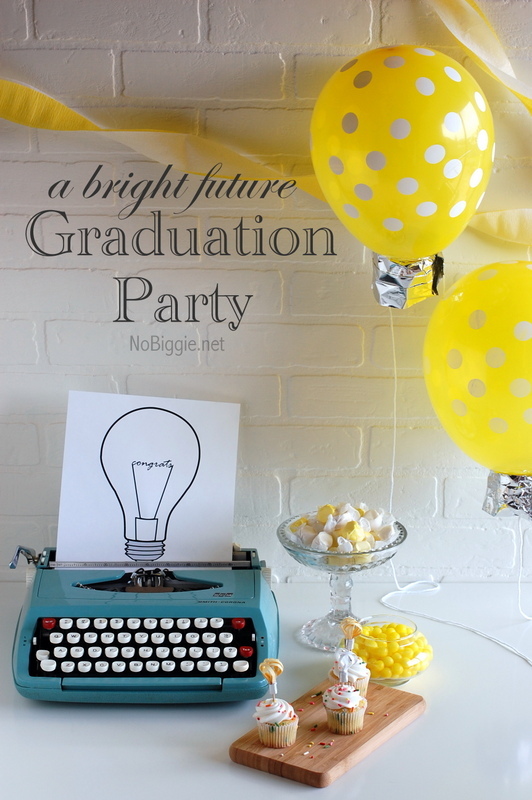 Do you have a big graduation this year?